Smoking is positively associated with oral thrush – in fact, it’s one of the main oral thrush causes in healthy adults. Tobacco smoke will dry your mouth, cause lesions to appear, and destroy the bacterial balance, thereby favoring nasty organisms such as candida albicans. To better understand how smoking causes thrush, you first need to know how oral thrush appears. 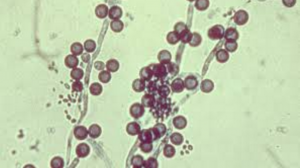 The reason why smoking causes oral thrush are easy to understand, once you know how candida albicans grows and develops. How does smoking cause thrush? Tobacco smoke kills the beneficial bacteria in your mouth, thereby allowing the candida colonies to grow freely. 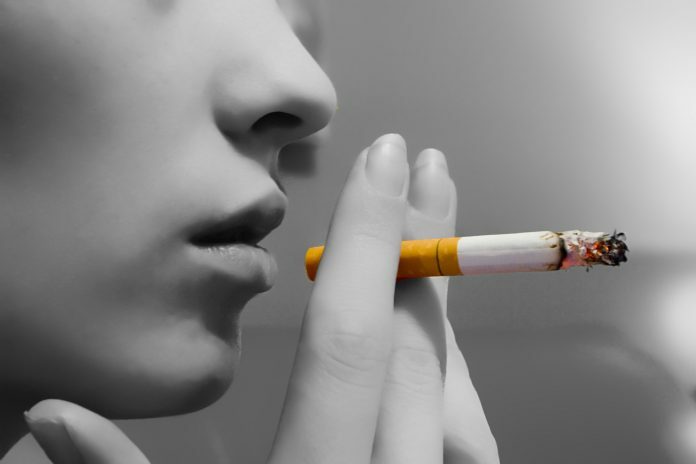 In fact, studies have shown that smoking causes a considerable amount of damage to the mouth tissue, while encouraging the candida colonies to grow, as a result of destroying much of the rest of the mouth flora. Smoking is so closely associated with smoking, that it’s actually a stand-alone risk factor in patients suffering from HIV. Stop smoking. If you’ve got oral thrush, smoking is the worst thing you could do. As soon as you experience the first symptoms, consult your doctor and start treating your infection. Drugs such as Diflucan or Nystatin are pretty successful when it comes to treating thrush, and home remedies are also quite efficient. Whatever you do, pay attention to your diet – you want to avoid sugar and yeast-rich foods, and eat plenty of probiotics, such as unsweetened yogurt. Smoking is a serious risk factor for oral thrush: it damages the oral tissue, kills the beneficial organisms in your mouth, and helps spread the candida infection. If possible, avoid smoking at all costs, especially if you’re experiencing thrush symptoms. Consult your doctor and start the treatment as soon as possible.